TSI passing score for each section is listed below. A placement score of less than 340 and an ABE diagnostic level of at least a 4 and an essay score of at least 5. Students must reach college ready standards in BOTH Reading and Writing to enroll in a college-level English course. 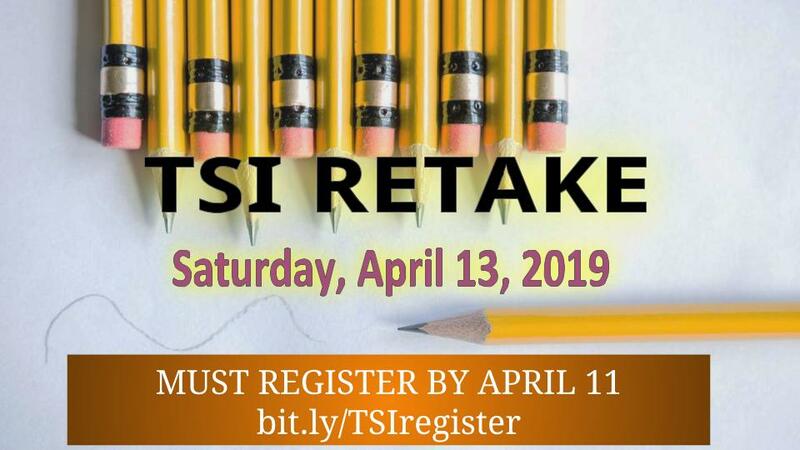 Please sign up with the link http://bit.ly/TSIregister if you want to retake TSI test on Saturday, April 13, 2019 . The registration deadline is Thursday, April 11, 2019.